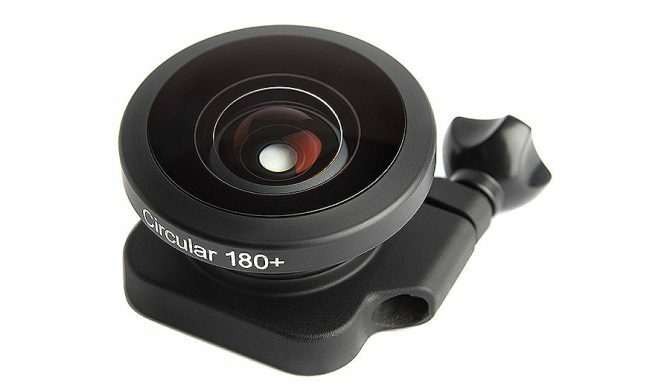 The Circular 180+ sits over the existing GoPro waterproof housing. GoPro footage is great. When used properly the benefits are too numerous to name and in doing so I’d only be repeating what has been said a million times before. But for those who have seriously tried to weave together sections of footage into one continuous stretch of film there remains one slight problem; everything looks very flat. The camera’s recognizable wide angle lens is perfect for ensuring each ounce of detail is captured within the frame, but unless you’re fortunate enough to have someone on dry land simultaneously recording material to virtually splice into the reel, more than a few minutes of nonstop self-filmed footage is a little difficult to digest. There are a few options within the GoPro camera itself but nothing that can radically alter the scope or feel of the factory fitted lens. Enter Lensbaby and the Circular 180+. This aftermarket lens sits on the outside of the GoPro Hero’s waterproof housing to provide a modern take on the classic fish-eye lens, the go to favorite for surf photographers the world over. The lens clamps tightly onto the outside of the traditional GoPro waterproof housing, protruding only slightly from the casing and adding little weight to the overall package and can be removed from the camera in a matter of seconds. It’s waterproof to depths you’d never get to and cleverly brings previously out of focus sections of the landscape into the shot. The lens has a wider field of view than the human eye, your entire surroundings pulled and majestically distorted into a single circle. Of course the nature of the fish eye look means it doesn’t cope particularly well with capturing things in the distance. If the subject isn’t close or in the center of the frame then there is a danger of it being swallowed up by the rest of its surroundings. Unfortunately, I also found some water creeping into the lens despite firmly tightening the bolt, but this water swishing around gave the footage an interesting feel in itself. You certainly wouldn’t want to rely solely on images captured on the Circular 180+, but being relatively inexpensive (just under $80USD it’s still a useful kit for those looking to add an extra dimension to their homemade surf flicks.